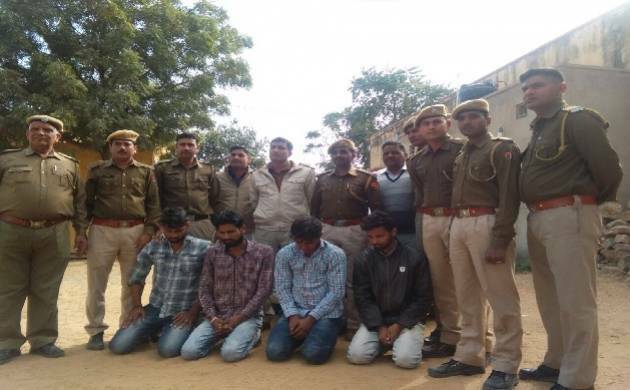 Rajasthan Police foiled a bank robbery in Jhunjhunu district’s Gudha Gorji area and arrested three people including a constable deployed in President Ram Nath Kovind’s security in the early hours of Saturday. The officer further added that the arrested jawan was on leave for two days. The officer added that around 2am in the morning police received an alert call regarding the robbery. “A patrolling vehicle was rushed to the crime scene to verify the facts. On seeing the shutter open, more force was rushed to the spot,” added the officer. “We asked the robbers to surrender but they tried to flee. In a chase we nabbed one of them, who later revealed the details of all involved in the crime. Raiding teams were formed and within hours all were arrested, “ added the SHO. The arrested have been identified as Shakti Singh, Sandeep Singh, Sanju Singh and Vikas.